What is The Cause of Dry Eye? Why Do My Eyes Tear if I Have Dry Eye? What is the Dry Eye Center of Excellence? Wearing eyeglasses is an easy way to correct refractive errors. Improving your vision with eyeglasses offers the opportunity to select from different types of lens options, frame designs and even lens coatings for various purposes. There are two different types of eyeglass lens designs: single vision, an all-purpose lens designed to correct distance vision, and multifocal, designed to correct both distance vision and near vision (the upper portion is focused for distance vision, while the bottom portion is used for up close activities such as reading). Multifocal lenses are eyeglasses used to correct presbyopia, the eye’s natural diminished ability to focus on near objects that comes with age. Bifocals have a correction for reading on the bottom half of the lens and another for seeing at a distance on the top. Some specialized lenses may also have segments at the top for those who need to look upward at objects that are in the intermediate or near range (double-D bifocals). Trifocals are lenses with three different lens corrections — distance vision, intermediate vision, and near vision — in one set of eyeglasses. Progressive lenses function generally the same way as bifocals or trifocals; however, they have a smooth transition between distance and near focal areas instead visible dividing lines. While the invisible transition of progressive lenses may be more aesthetically pleasing, the focal areas are relatively small because more lens space is used for the transitional areas. Progressive lenses cause more distortion than other types of lenses, making them more difficult to wear for approximately 10 percent of the population. If you don’t need correction for seeing at a distance, you can get reading glasses (also called readers) over the counter at drugstores, bookstores and many other retail shops to correct presbyopia. You can also get a prescription for reading glasses from your eye care provider. No exercise or medication can reverse presbyopia. Delaying the use of reading glasses is of no benefit. 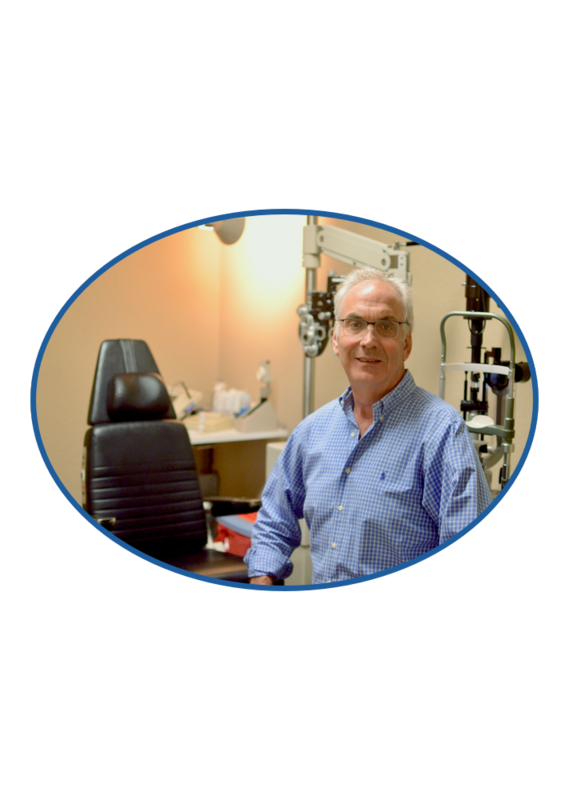 You will probably need to change your eyeglass prescription from time to time between the ages of 40 and 60 because your eye’s natural lens will continue to lose flexibility and, therefore, focusing ability. Eyeglass lenses used to be made only of glass, but today most lenses are plastic. Plastic lenses are lighter, more flexible, and safer because they are less likely to shatter. They also have inherent UV light-blocking ability. For people who wear eyeglasses during sports or other activities that can result in eye injuries, eye doctors often recommend polycarbonate lenses, a safety lens material that is highly impact resistant. Trivex is a newer plastic material that meets the same safety standards as polycarbonate, but it is less distorting. Another type of lens is a thin, light, plastic lens called a “high index” lens. These are recommended for people who need high visual correction. Because they have a thin profile, they eliminate the “coke bottle” appearance that often comes with thick-lensed glasses. Protective coatings for eyeglasses are available to help you keep your eyes healthy. Anti-reflective coatings help to diminish reflections off the surface of your glasses, thereby allowing others to make eye contact with you more effectively and improving your appearance. Coated lenses allow more light to pass through them, improving contrast sensitivity and visual acuity. Because of reduced glare and reflections, eyestrain may be reduced. Some of these coatings can be especially helpful for people who are bothered by glare from headlights and other lights while driving at night. Another type of coating helps to protect your eyes from the harmful radiation of ultraviolet (UV) light. This type of coating may not be needed on some types of plastic lenses, because they inherently block UV light. Another option for vision correction with UV protection is prescription sunglasses. Also, for people who prefer one set of eyeglasses for both inside and outdoors, photochromatic lenses are a good option. Photochromatic lenses have a tint that varies based on their light exposure, with a darker tint in sunlight and lighter indoors. A disadvantage of photochromatic lenses is that they do not work well in cars or airplanes, because the windows block the light rays that trigger the change in lens tint. It may take several minutes for the lens tint to change from dark to light. Friendly, professional and knowledgable. Nice staff and no long waiting. Both the doctor and the gals who work with him and his patients, are genuine, caring, personable, knowledgeable, professional in every way. The front desk staff is warm and friendly. They take a personal interest in the patient as a whole person, not just a set of eyes. It’s always a positive experience visiting this office. I had a great experience, staff was friendly, courteous and all was very prompt. A lot of places make you wait no matter what time you’re scheduled for and here they were true to appointment time. Doctor Oppenheimer was really great at explaining everything going on, I saw her back in 2014 and this is what brought me back to South Palm Eye Associates. Thank you for the great experience! Optimize your vision to its fullest potential and customize it to fit your lifestyle. South Palm Eye Associates © 2019. All Rights Reserved.